I've had a year to wring out Elite Iron 's Bravo1 suppressor in .308 caliber. The suppressor was specifically bought for a new DPMS LR308. I sent the gun to Dale Poling at Elite Iron to mate their compensator to the muzzle. It's a nifty compensator that doubles as the mating device for their suppressor. Shooting without the suppressor but with Dale's compensator, I immediately noted an improved grouping, nearly halved the size of a five round group at 100 yards. As a testosterone plus it looked really cool doing it. The compensator also tamed the rifle down a bit with the rifle staying on target with each round put downrange. The thread protector on the outside of the compensator removes easily and the Bravo1 suppressor screws on like butter, always registering exactly the same ensuring consistency when fired suppressed. Both the rifle and the suppressor seems to like Federal Gold Match rounds. POI with and without the suppressor was consistent with the grouping actually tightening up more with the suppressor screwed on. Definitely made a fine rifle a sub moa machine. Sound suppression was excellent, even with standard .308 rounds. Shooting without hearing protection was a piece of cake and a real pleasure. Using some Engel Ballistics .308 subsonic rounds reduced the rifles retort to that of an anemic BB gun despite the devastating effects of the big round. It pretty much vaporizes a three-foot-long iguana at 100 yards. Bottom line, the suppressor works, is a solid piece of art and is a real pleasure to shoot. I looked at several Suppressor Makers in my search for what is the best product on the market. Being in the Firearms Industry and being a MFG for several hundred accuracy/reliability gun parts I felt that I could do no better making it myself. Dale and Kathy have certainly given me good advice and direction when it comes to producing a "CAN" that really works not only for noise reduction but with no degradation in long range accuracy. I've known Kathy for over 20 years and Dale for somewhat less time. I have found the both to be honest in all dealings and correctly represent products. I have found Dales work in suppressors to be of the highest quality and used them in several calibers myself - including the 338 Lapua. If I need a suppressor we don't make ourselves, I go to Dale for the product first. I've found EliteIron cans to be heavily built, very durable and not detrimental to accuracy. When he gives me a delivery date, it is accurate. I've never encountered a problem with EliteIron suppressors. I am most interested in suppressors for law enforcement and military applications and, hence, want ones that offer good sound suppression, ease of maintenance, and durability. Those from Elite Iron fulfill all of those requirements. The two Elite Iron suppressors I evaluated were both .22 rimfire integral suppressors: one for the Ruger 77/22 and one for the Ruger Mk III Target. The tactical applications for these suppressed weapons would primarily be for knocking out lights during a stealth approach, though they can also be used to knockout surveillance or intrusion detection systems as well. I found accuracy with both weapons excellent as was reliability. Sound suppression was excellent, with the Mk III, the operational sound of the bolt cycling was more apparent than the sound of the bullet, especially when subsonic ammunition was used. The 77/22 was accurate to at least 100 meters (the longest distance at which I shot it) and offered excellent sound suppression. Since suppressed weapons for tactical usage are often carried as an adjunct to primary weapons, the fact that the integrally suppressed Elite Iron Rugers remain light and handy is very important. Overall, I am very impressed with the suppressors from Elite Iron that I have tried. 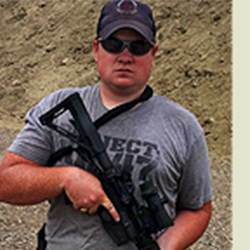 Writer on tactical weapons and training, trainer of military and law enforcement personnel. with the factory brake, and the rifle is very pleasant to shoot. When the can is added it does several things. 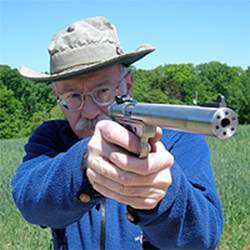 Since Dale timed it somehow, I am able to have repeatable clicks to re-zero my rifle, i.e., I know it drops 2 inches every time. This is really handy, and I know that at 500, I will hit a 6" target every time without any further checking of zero. This is a great thing, as every other can I use, has to be zeroed before use, or used at black powder range because the zero is never predictable or repeatable. In other words, there is no trust factor whatsoever with the other cans. With EliteIron's, I just screw it on. 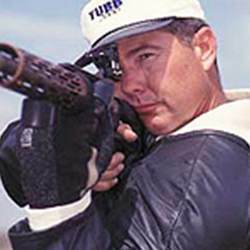 The other thing is that if I am in a fixed varmint firing position, I just screw the can on, make my adjustments, find a suitable target at whatever engagement range, and verify zero with a few shots. The perceptible noise level to the shooter firing is unbelievably low. I have had animals downrange run directly to me numerous times now after making headshots on their brethren. They actually run to the shooter. This is really handy for long range varmint hunting. And recoil is greatly reduced to the point where I am not actively conscious of shooting, even when conducting range work. I just can't say enough about this product - it delivers unbelievable performance, with no excuses - every time. I have never had to get my product from Elite Iron serviced - they were put together right from the start - but Dale & Kathy are great to talk to. 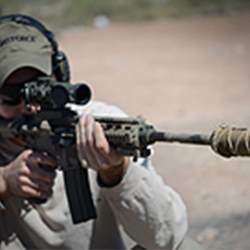 Suppressors can be used for a variety of purposes. Lawfully-owned suppressors are never used for sinister purposes. Rarely are they used for tactical purposes at either the military or police level, although suitability for such purposes is generally considered the gold standard for quality and reliability of suppressor units. 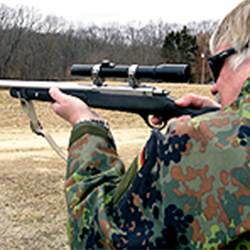 Most, however, are used for recreational shooting on the field or home ranges where the owners desire to minimize the noise levels of shooting. Such uses frequently impose much greater demand on a suppressor than any tactical operations actually will impose. A military or police operation may never call for a suppressed weapon to be fired, although it is deployed, whereas the recreational user, on any given session, may fire thousands of rounds in the unit. Additionally, especially in the U.S. where suppressors are so closely controlled, reliability and long-term durability are critical since, especially for the non-government user, getting suppressors repaired is simply a major hassle. Many people, when evaluating suppression, make a major production about the level of noise suppression achieved by a unit. Naturally this makes sense since noise suppression is one of the most important elements of a suppressor and such things can be scientifically tested thereby giving a fair evaluation method in which to compare the various units. I am not equipped to test suppression in such a fashion nor do I really think it is critical to do so for my purposes. Given the fact that my ears ring all the time anyway thanks to exposure to gunfire, I am incapable of distinguishing fine levels of noise suppression. If the noise level is reduced to something akin to an air rifle in .22 rimfire units, I am happy. If center fire rifles sound like a standard, high-velocity .22 rimfire rifle without muffs on, I am similarly pleased. My sub-gun suppressor standard splits the difference between those two standards. Reliability and durability, on the other hand, are something that my friends and I can test with no scientific equipment. Does it work? Does it continue to work? Do I have to do anything special to keep it working? If I can get two "Yes" answers and one "No", I am very well satisfied. Elite Iron makes suppressors that any military or police unit seeking a suppressed weapon would be more than pleased to have along on the mission. They are well designed, well made, and beautifully finished. If you need to take a shot where muzzle report is obscured or altered substantially, you will find that Elite Iron units will deliver great performance. They also will stand up to the punishment on the field that such teams may inflict on them, whether it is caused by airborne deployment or insertion by sea or the mundane but possibly more punishing long-term carry in the back of a patrol vehicle in major urban areas. 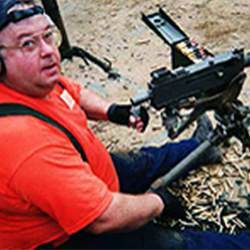 But the real test of durability and reliability comes on the informal firing range when users from the most sophisticated, experienced shooter to those who just do not like to wear ear muffs, since it hurts their ears or messes up their hair, will use them shooting hundreds of rounds in a session typically not stopping until time for lunch! Such shooting gets suppressors extremely hot even in rim fire chambering and as with autos, it is heat that is the real destroyer of such things. To stand up to such long-term abusive firing without breaking apart at the seams or getting out of alignment is a test both for the suppressor design as well as the quality of the manufacturer. Elite Iron units that I have tested at this level have passed this test with flying colors. You can depend on them for noise reduction certainly but durability and reliability without hesitation also. They are fine units and you will be as pleased with your purchases as I have been with mine! As a resident of Big Sky Country I am constantly running into native companies that are making some very nice firearms products. 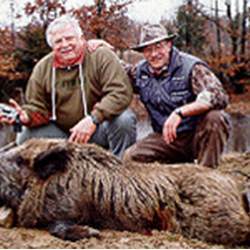 Recently I came across one of these companies while chatting up a professional varmint hunter who was taking one of the courses I taught. At the end of the day he pulled out his custom AR-15 complete with a very nice looking silencer threaded on the muzzle. Having chronic and severe silencer envy, I immediately started drooling. However, what really fascinated me was underneath the silencer. It was threaded on a beautiful looking flash hider that also came with a separate flash hider/muzzle brake combo which threaded on the same way as the silencer. I was in the market for a new muzzle device so I called up Elite Iron in Potomac, MT to get the low down on their products. Elite Iron is a small town Montana business with some big name clients, namely McMillan, who chose Elite Iron 's Bravo SD Suppressor as standard equipment for their CS5 Sniper System. Kathy Poling handles the business end of things at Elite Iron and very generously sent out one of their CQC 1 Tactical Muzzle Brakes for me to test on my S&W M&P-15A. A short time later, the CQC arrived in my mailbox with a note from Kathy telling me to make sure to test it at night as well as during the day. Picking the CQC up you immediately notice it weighs significantly more than a standard A2 flash hider. However, with this jump in weight there is a huge leap in quality. The attention to detail with the CQC is phenomenal. There is not a single machining mark to be found on it. Every thread, every hole, every edge on this device is meticulously machined to be nothing short of perfect. In all honesty, it made the A2 that came standard on my rifle look like it was a cheap Airsoft version. One unfortunate byproduct of this device is that with the cap threaded on, a full barreled rifle looks a bit goofy. However, taken in concert with the advantages of the product, it's a cosmetic issue that I got over. As anyone who shoots ARs knows, the rifle is pretty damn loud thanks to the supersonic qualities of the 5.56 round. This issue really manifests itself when you shoot next to the guy with the muzzle brake that funnels all the gasses to the left and right or if you're training tactically and shooting indoors with your team. These are the issues that Elite Iron tries to help remedy. The design of this muzzle brake is intended to throw the sound from the gun being fired forward and away instead of to the sides and up. This helps the rifle sound less harsh to those directly to the sides of it as well as to the shooter. It also retains common muzzle brake qualities found on other models that are intended to reduce muzzle rise. From behind the rifle, the difference in the noise is markedly different and I definitely noticed a difference in the consistency and size of the flash. Working where I work, I hear about and am able to experiment with equipment from a many different companies. I also interact with the people involved in the manufacture of the products allowing me to get a sense for the type of people behind the scenes. These are the reasons that I chose to purchase an Elite Iron suppressor. We test the products that go out the door with our rifles and have had many "bulletproof" products fail. Dale and Kathy's suppressors have not made that list. They are built not only for efficient sound suppression, but also durability beyond the "requirements". The fit, finish, and function are something of which they should be proud of. The suppressor is timed to the individual muzzle threads of your weapon, aligning the suppressor's baffles so as to minimize horizontal shift in Point of Impact. I have experienced only slight vertical deviation in POI due to this step in manufacture. Typically, the groups shrink when the suppressor is in place. I have a Delta timed for an AR, but have also threaded the Ruger 77/22 and Ruger MK II. There is no discernible shift in POI at rim fire ranges, though the suppressor is not timed for either. Dale and Kathy have been helpful and professional in business dealings and have the level of integrity and dependability that anyone can appreciate. I'm grateful when I come into contact with a company whose people I would like to call friends. They're good people, people that we can trust. 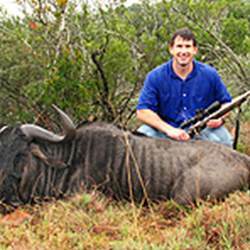 I have been using suppressors for hunting for over 15 years. As a Federal Hunter for the USDA for 10 years, all of my firearms but my shotgun had a suppressor on them. Much of my work was in town on wild animals and the need to be quiet was extreme. As a custom rifle specific ammunition manufacturer, including the big 50 BMG, I have tested many different brands of suppressors on many different rifle and calibers, too. And I have first-hand experience with the many different brands of suppressors. I can say without any doubt that the suppressors manufactured by Elite Iron are the toughest and quietest and they improve accuracy more than any other brand! Our sound meters clearly show the greater sound reduction. Our length of use shows the toughness. And our time on the range proves the accuracy. I can only recommend the Elite Iron suppressor over all others from first-hand experience. 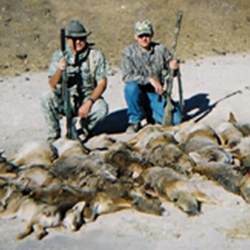 Note: The above picture shows the handiwork of Jim and friend Duncan Davis taking 25 coyotes in 18 hours on October 11th and12th in 2003 near Phoenix, Arizona.